In honor of the release of The Food Truck Growth Kit, we thought it would be cool to spend some time today talking about our brand new partner—Shopify POS. 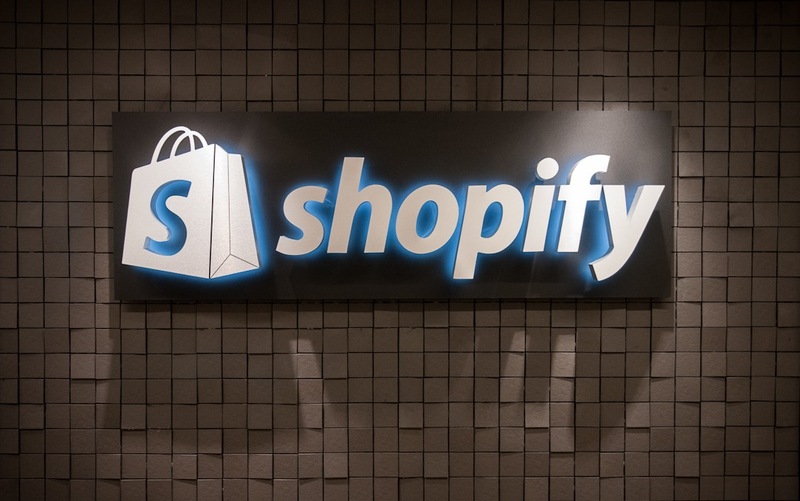 We’ve been big fans of the team at Shopify for quite awhile now, which is why we’re so excited for the chance to share all the awesomeness they have to offer with you. So without further ado, let’s take a look at the top eight ways Shopify makes things easy for your food truck business! First things first—we love that Shopify loves food trucks. Have you ever seen another business service provider that includes a specific page on their site that’s all about what they can do for your truck? That’s true dedication! Mobile payment providers and food trucks are a natural fit, and the team at Shopify understands this. They’ve created an effective and easy-to-use system that’s perfect for food truck owners who are constantly on the go. After all, your days are busy and hectic and you don’t have time to mess around with complicated systems that aren’t intuitive to use. You need something that offers convenience, speed, and simplicity—and Shopify has packaged it all into one easy system just for you. Part of what makes Shopify so convenient is that they offer all the hardware options a food truck owner could need. Some other POS apps that we’ve seen, while convenient, require you to purchase a third-party system to get up and running. And for someone who’s primary business is being a chef and not a retail manager, finding the right system can be a whole lot easier said than done. Shopify simplifies things by offering their own hardware options that you can purchase directly through their website. We love their Complete Kit option, which includes an iPad stand (designed to fit the model of your choice), a cash drawer, a receipt printer, and a card reader. However, you can also pick up these pieces a la carte, as well as additional hardware like barcode scanners and printers if you plan on offering other items for sale. Since everything is made to work with their software system, you don’t have to spend any time trying to figure out what’s compatible or making things work with one another. Of course, some food truck owners already have hardware systems in place. If you’re one of those FoodTruckrs, never fear—Shopify won’t make you buy their hardware just to get set up! Shopify easily connects with your current card reader to accept major credit cards, debit transactions, and more. That means you can get all the benefits of their fantastic software system without having to spend more money on new hardware devices. Once you’ve got your system up and running, you can start to check out the major perks of Shopify’s POS system—and this is really what we love most about everything they have to offer. The Shopify software is incredibly comprehensive and easy to use. You can track everything in one place (including things like your inventory, customer lists, and sales) and also manage everything on the go (as the app syncs in real time). Once you’ve begun to track some data, Shopify also begins providing analytics and detailed reports to help you see what’s really going on in your business. Managing all the tiny logistics and details that go into running your food truck business can be hard work, but it doesn’t have to be. Shopify POS makes it so much easier to keep track of the metrics that matter most to your business—and to understand how those figures should play a role in your future decisions. Food trucks come in all shapes and sizes—and what’s right for your business may not be right for the truck that’s parked next to you on a busy downtown street. Fortunately, no matter the size of your business, there is a Shopify plan for you. Shopify currently offers three convenient monthly packages that business owners can choose from (the Basic, the Professional, and the Unlimited). They also offer add-ons like a Retail Package and an Online Store option so that you can build a customized plan that includes exactly what your truck needs—without having to pay for any services or features you won’t use. Whether your food truck is running on a tight budget or you just like saving money whenever you can, you’ll love the affordable options available from Shopify. Service and experience are really important values to us here at FoodTruckr, so we couldn’t ever recommend a service provider that didn’t also share those concerns. Fortunately, Shopify’s 24/7 Support is a great fit. They have a number of great resources and commonly asked questions available on their support page, as well as the ability to ask a team member a question directly via email, live chat, or phone. We hate dealing with support teams that take forever to get back to you, so their availability and speed are big bonuses in our book. Let’s be honest—there are all kinds of mobile payment processors out there, and some of them are better than others. One of the things we love about Shopify is that they are an established brand that has worked with tons of reputable customers. In fact, Shopify currently powers more than 160,000 businesses in 150 countries across the world—including big names like Google, Budweiser, Tesla Motors, the Los Angeles Lakers, and Wikipedia. Payments are your livelihood, and so it’s absolutely essential to be sure you’re using a provider you can trust. If it were us, we’d feel pretty confident putting that trust in the Shopify team. If you’re interested in what Shopify POS can do for your food truck business, you’ll really love this last feature—Shopify offers free consultations and trials! Shopify is currently offering a 14-day free trial for business owners who want to try out the software before making the choice to invest. You can visit their website to begin your trial or call them at 1-888-488-3465 to request a free consultation. This is the best way to get a feel for everything the Shopify system can do for you, so we definitely recommend giving it a try! With all-inclusive software, great customer support, and plenty of affordable hardware options, Shopify POS is one of the best choices a food truck owner can make for his or her business. Visit Shopify’s website today to learn more about what they can do for you and to get started on your free trial. Editor’s Note: All information about specific offers, features, and packages from Shopify is current as of the time of this writing. Additionally, please note that some of the links in this post are affiliate links. If you sign up for Shopify POS via one of those links, we will receive a small commission payment that supports our hard work here at FoodTruckr.